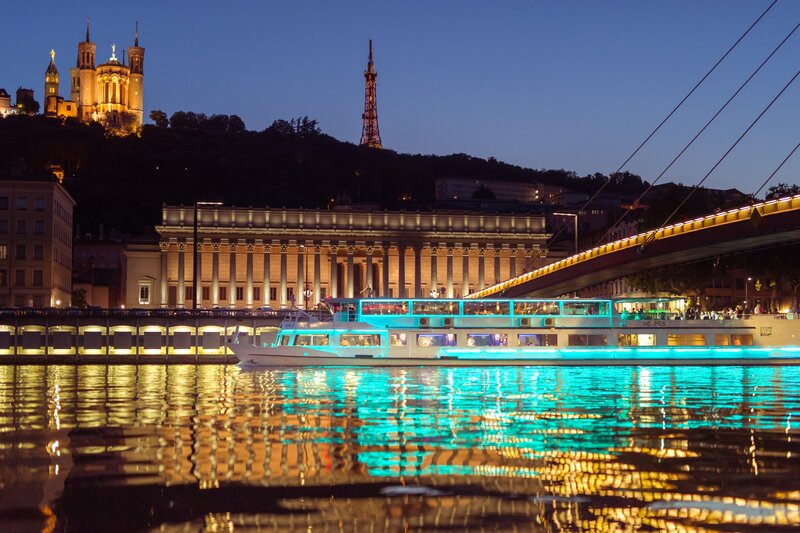 For a gourmet trip on the river, indulge yourself aboard the Hermès, the only restaurant boat navigating in Lyon. Discover the capital of Gaul by boat. From the quays of the Rhône River to the Ile Barbe, passing by the Confluence district, admire the landscapes. Enjoy a delightful lunch and visit Lyon in a new way.